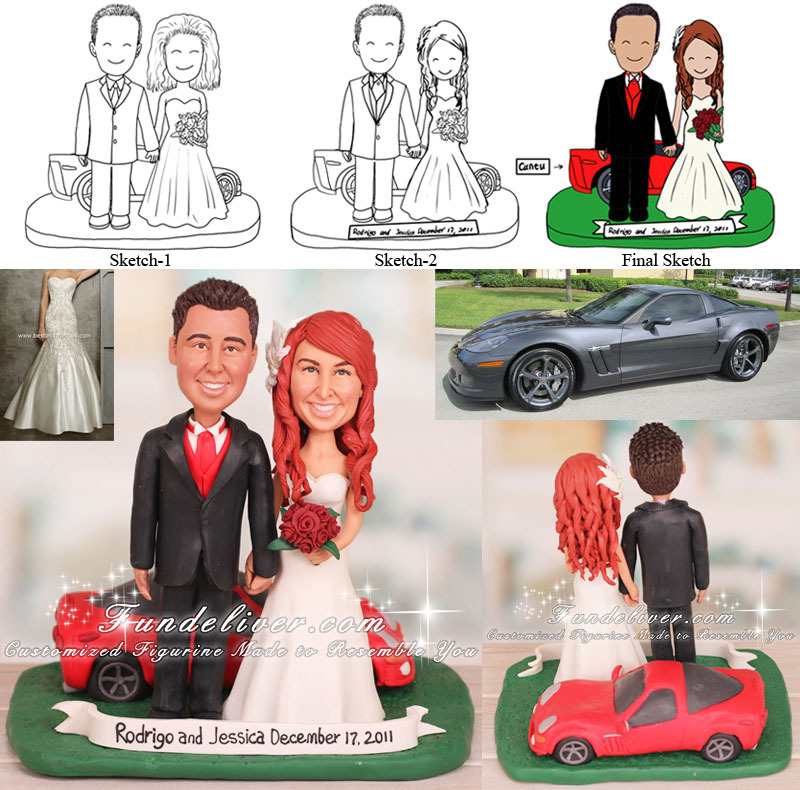 This is a completely customized Chevrolet Corvette theme sports car wedding cake topper ordered by one of our customers. They would like the groom to be in black tuxedo with a red ascot tie. And they wanted for only the middle button of the tuxedo to be button so that the vest can be seen. The bride wears a white wedding dress which is fitted and flares off below her hips. They would like to add a nameplate in front saying “Rodrigo and Jessica December 17, 2011”. The key point is the corvette which they strongly wanted. 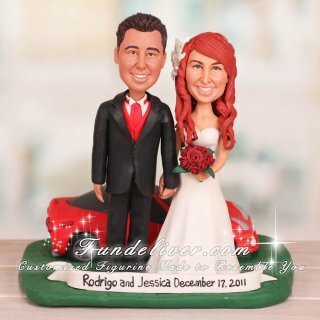 The reference images they offered are grey corvette but for their cake topper they would like to change it to be red. Love this sports car wedding cake topper? Want to incorporate your cars into your cake toppers? We can make it. Just send us your ideas and reference images, we will first design some 2D sketches to get your approval and then turn them into 3D figurines.